During his State of the State address on Jan. 9, West Virginia Gov. Jim Justice made the opioid epidemic a focus of his speech. The governor’s office did not respond to an inquiry, and when we reached out to local and state offices, we were unable to get a response on one key point. For that reason, we aren’t rating this statement on the Truth-O-Meter, but we decided to share what we did find out. Only data on nonfatal overdoses was available for 2018; we were unable to confirm the statistics on fatal overdoses. Justice didn’t specify the type of overdose in his speech. Data on overdoses is reported to the West Virginia Office of Emergency Medical Services. Connie Priddy, a Cabell County EMS compliance officer who is tasked with reporting official data to the state, told the Huntington-based Herald-Dispatch newspaper in January that Cabell County had 742 fewer non-fatal drug overdoses in 2018 compared with the record-setting 2017. That was a decrease of 40.5 percent. 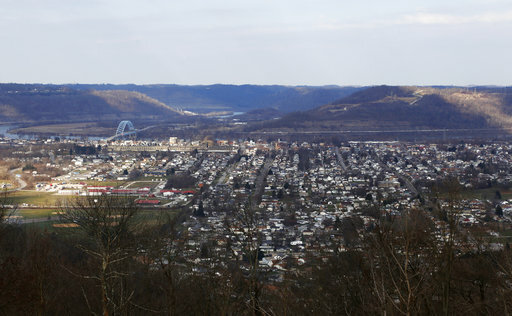 Cabell County, in the western part of the state, is one of West Virginia’s most populous counties and includes the city of Huntington. As we’ve previously noted, West Virginia has the highest overdose rate per capita of any state in our nation, and Cabell County has been particularly hard hit. So why the decline in fatal overdoses? A trio of federal grants, we learned, likely helped. In September 2017, the city of Huntington announced that Cabell County had received three federal grants totaling $2 million. The team is responsible for designing a plan of action after an overdose, as well as “overdose education, screening, risk-reduction training” and training in the use of naloxone, which is used to treat overdoses. 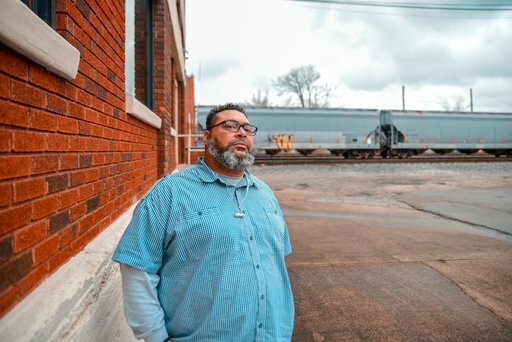 The third grant, also from the Justice Department, was designed to aid the Turn Around program, a pilot program at a local jail that identifies and assesses individuals convicted of misdemeanors who have health and substance-use issues. Sen. Shelley Moore Capito, R-W.Va., took to Twitter earlier this year to discuss the debate over erecting a wall on the U.S-Mexico border. She said that previous barriers built on the southern border have been successful. A graphic attached to the tweet said there had been decreases of 90 percent in the Tucson sector, 95 percent in the Yuma sector, 95 percent in the San Diego sector, and 95 percent in the El Paso sector. Did the barriers in four sectors of the southwestern border result in massive drops in apprehensions? We took a closer look. Here’s a chart showing the trend lines for border apprehensions — the typical way to measure illegal immigration into the United States from the southern border — going back to 1990, the period Capito referenced in her tweet. Broadly speaking, the chart shows a downward trend for apprehensions at the various sectors, interrupted by a spike around 2004 and 2006. This means that for roughly the last 20 years, there has been a downward movement in migrant flows across the border. Tucson fell by 92 percent from its peak in 2000, Yuma fell by 70 percent from its peak in 2005, San Diego fell by 93 percent from ts peak in 1992, and El Paso fell by 89 percent from its peak in 1993. That said, these large declines started between 1992 and 2005 — before passage of the Secure Fence Act of 2006. The law, which was signed by President George W. Bush, authorized about 700 miles of fencing along certain parts of the southern border. That fencing was built over the course of several years after passage of the law, depending on the sector. If you measure the declines between the law took effect in 2006 and 2018, they are still substantial, but not as large as the declines from the pre-2006 peaks. El Paso fell by 74 percent, San Diego by 73 percent, Tucson by 87 percent, and Yuma by 78 percent. Those percentages are all smaller than what Capito tweeted out. 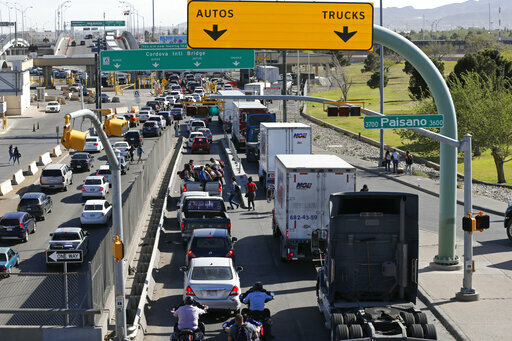 It’s also important to note that some border crossings may have shifted from urban areas, where fences were erected, to more rural areas, said Tony Payan, a fellow for Mexico Studies at Rice University. In fact, the overall apprehension statistics in the southwest border fell less than the statistics for some of the relatively urban sectors Capito cited. Overall, apprehensions at the southwestern border, including areas that Capito didn’t highlight, fell by 76 percent from their peak in 2000 to 2018, and by 63 percent between 2006 and 2018. That’s a less dramatic decline than those seen specifically in El Paso, San Diego and Tucson that Capito cited. So Capito’s chosen sectors are somewhat cherry-picked. Finally, immigration experts say that security measures do not account for all — or necessarily even most — of the decline in border-crossing. Douglas Massey, a professor at Princeton University’s Office of Population Research who has studied border migration for decades, has previously told PolitiFact that he considers the economy the primary factor. The Great Recession, he said, had an immense impact in slowing border crossing. In particular, dwindling prospects of finding a job in sectors such as construction, which traditionally attract a disproportionate number of Latinos, dampened the urge for potential Mexican migrants to undertake a difficult journey. Payan agreed that barriers would not have been the only factor. “Although tougher enforcement and barriers did help,” Payan said, “other factors played a role, including Mexico’s changing demographics, and rising middle class, and U.S. deployment of tougher checks, such as E-Verify,” an electronic employment verification system. “Everything helps, but it is absolutely misleading to attribute the decrease in undocumented crossings to barriers, particularly that early,” Payan said. Capito’s office reiterated to PolitiFact that her tweet said that “physical barriers need to be a part of the solution,” rather than the only part. Capito said, “Beginning in the early 1990s, we built barriers in 4 sectors at our southern border. Since each was built, those sectors have seen massive drops in apprehensions of people crossing the border illegally,” including 90 percent to 95 percent decreases in the Tucson, Yuma, San Diego and El Paso sectors. The four sectors she cited fell substantially after hitting peaks in the 1990s and the early 2000s, but not quite as much as she indicated. And the rest of her assertion is questionable. Border apprehension declines started prior to passage of the 2006 law that authorized border fencing. Moreover, while such barriers may have had an impact, other factors, notably the troubled economy after the Great Recession, are often credited with playing a key role in the decline of border apprehensions.